Leigh has been called up again, by our friend, Annabel, who owns a small vineyard (She starts every conversation, we have noticed, by stating “It’s another day in Paradise!” Yet more days of clear blue skies, warm late mornings/afternoons, and she is not far wrong.) Payment is in bottles of wine, said to be some of the finest in the Okanagan, so there’ll be no complaints from us! Sam has been given his first ice hockey stick today, by our neighbour, Don. We started to wash the car togther, but he soon disappeared over to Don’s, as he was clearing out the garage and asked Sam if he would like an the ice hockey stick. With a grin wider than his face, my son bolted across the garden shouting, where upon sawing noises could be heard from the garage, as Don cut the stick down to size. Sam emerged with a tennis ball, and his new stick, as Don began, a previous hockey coach, to show him how to control a puck (the tennis ball). That kept Sam busy for the next couple of hours. 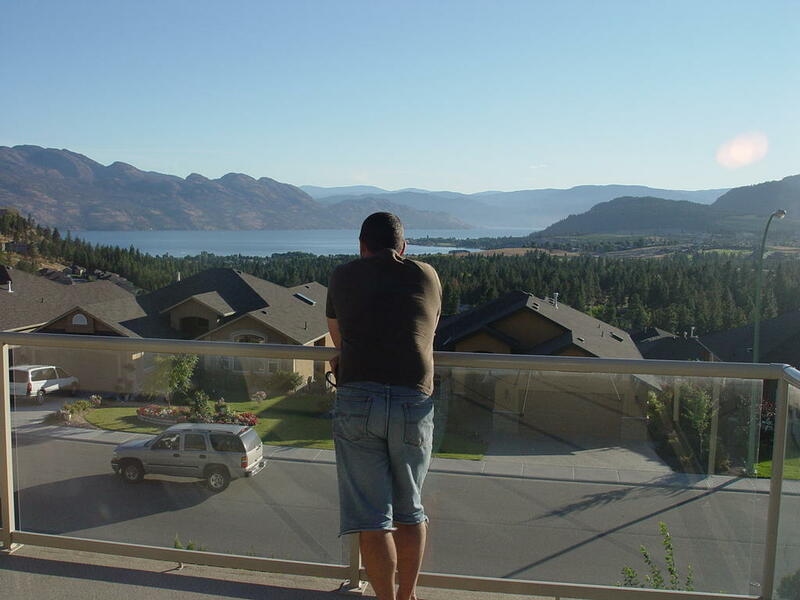 And me, I’m awaiting details of interviews for jobs in Kelowna and Vancouver, ads to go out for tutoring, doing some tutoring online, exploring the area, making coffee with the new maker, pancakes and generally trying to keep occupied, until I can get work. I have a couple of web design orders from some of the people we have met at the farmers market, which should keep me occupied for a bit. So things are slowly coming together.